So, I retraced my steps and tried to figure out when it was that I was using the dreaded phrase the most. It boiled down to: Setting ( or rather trying really hard to) a routine. Me: ” It’s time for bed, lets settle down” Little one: ” Whyyyyyy” Me: ” You need to sleep, your body needs the rest, etc etc etc”. 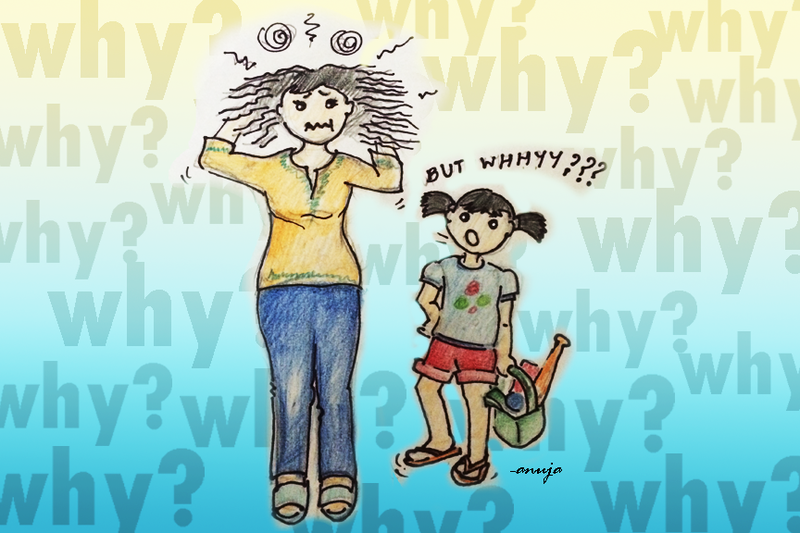 After the fourth ” But whyyyyyy” and me exhausting all the reasons she needs to sleep – Me: ” Because I told you so” !! I used to think it’s the laziest thing a parent can say to a child. Yes, that was loooong before I had a child myself, and life gave me a tight slap on my judgemental face! I now know how exhausting it can be to keep repeating the same thing over and over ( and over) again! But I was at a complete loss at how to deal with it. At the end of a long day, all you want to do is snuggle up with your child, chat about the day ( the best chats are always post lights out!) and sleeeep! But no, getting her into bed itself was a herculean task and not to mention a fabulous test of my patience. That’s when by some miracle, as if the universe felt my plight, my pal Suchitra thought of this marvellous tool – About Time! And I’ve been a much calmer person since. Not only has this helped with bed time but with a lot of other ‘times’ as well! About Time is a tool developed to help set a routine in your child’s life. It’s a clock with just the hour and second hand and 16 magnetic circles with pictures of icons to do with various aspects of your child’s day. Sleep, Lunch, Dinner, Play, Books etc. You move the magnets around the clock as per your child’s day and when it’s time for lunch – just point to the clock and ask her what it’s time to do. With the black hand pointing towards a plate of food, she knows she needs to eat. With only the hour hand, your child only has one place to look at. And the second hand shows that time is moving. It’s an excellent tool to introduce the concept of time as well as setting a routine. Check out About Time and do write in with your experiences…..